This is a bit of a “constructive” rant…if you will. I start with the admission that Enzo Amore and Big Cass are on my list (no pun intended Jericho) of favorite WWE Superstars. They have the best chemistry and play off each other well during promos. 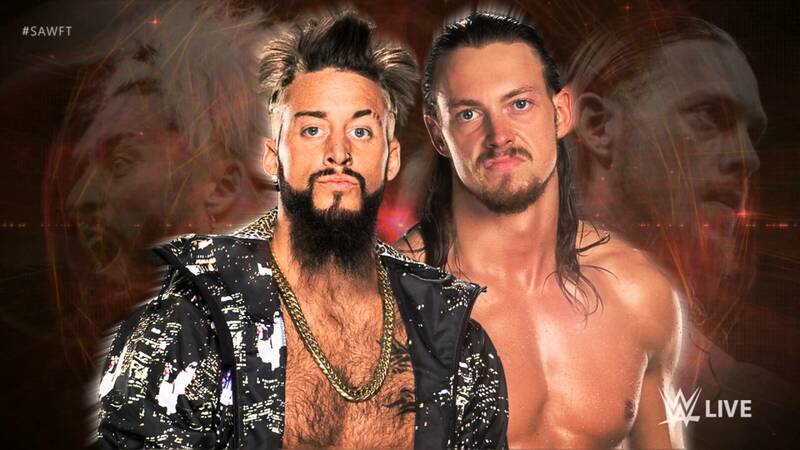 As a tag-team, Enzo and Cass are fun to watch in the ring. This moment of disgruntled dissatisfaction is due to the seeming design of Enzo and Cass being the hottest jobbers in the WWE. I understand the need for superstars to put each other over in order to build credibility and provide a necessary push however, how long must I watch Enzo and Cass put everyone in the RAW locker-room over week after week? The last match they won was a Six-Man Tag match with John Cena against AJ Styles, Karl Anderson, and Luke Gallows (WWE Battleground). Jericho and Kevin Owens (Jeri-KO) and The Rising Stars are the latest group of duos to benefit from the Enzo and Cass push. As much of a pop as my Italian brothers receive, they should be in the hunt for the WWE World Tag-Team Championship. I would prefer to see them struggle against Karl Anderson and Luke Gallows of The Club with Anderson and Gallows holding the tag-team belts ( but that’s another topic altogether). If The Rising Stars at to get the push to look strong against Enzo and Cass then at least continue the feud until the end of the story. Maybe there’s a bigger story about to be told. Maybe our beloved “baby-faces” are being groomed for greatness instead of being made to look “sawft” and sloppy so to speak. I doubt the WWE will change their characters from “face” to “heel” anytime soon but it would be interesting to have our own “Good Fellas” throwing some Ping! Pow! Boom! Bing! in the ring. At the end of the day, I just want to see more than Big Cass beaten outside of the ring and Enzo pinned inside the ring. Despite it all, they will always be my wrestling favorites.